Robert Chaen is an International Keynote Speaker, writer, researcher, and corp games designer. He is famously known to be the “CEO-Celebrity Whisperer”, 1-on1 coaching with many CEOs and Celebrities for corporate strategies, staff & office political issues, personal branding, and even public figure OSHA safety drilling called Drager Defense. He has transformed CEOs and managers in Coca-Cola China, TVB Hong Kong, Cathay Pacific, Hong Kong Airport Services, VADS, TM, Public Bank, Auditor General's Office Maldives, etc. He is the prolific creator and online Author of innovative management tools such as DragonCEO, Diamond Leader, Papillon Personal Effectiveness, OSHA Drager Defense, KPI Bank, etc. He is also the Founder of Movsha, an international networking with monthly mingles with MOVers & SHAkers, Angels, Entrepreneurs, CEOs, Celebrities, HR-PR-CSR, HODs, and the Most Influential IDEA people. ​Chaen is widely considered as one of the top International Platform Keynote Speakers for Resorts World Genting Senior Management Conference (Manila), 7-Eleven HK, Samsung, Coca-Cola China Mini-MBA @Tsing Hua University, Cathay Pacific, Hong Kong Jockey Club, The Story Conference where he interviewed Datuk Kamarudin (Chairman of AirAsia) and Siti Nurhaliza. He has been widely featured in TVB, AWSJ, CNBC, SCMP, The Star, and Sin Chew. As “The Father of Asian FireWalking”, he coached TVB celebrities (Ekin Cheng Yee-Kin) to walk on 650°C fire; and raised HK$68M in the world’s 1st and only live TV Charity FireWalk (TVB Tung Wah Charity Show), before Tony Robbins even came to Asia. If Robert can get you to walk on 650⁰C fire, he can inspire you to be THE BEST. He champions CN-HK-EU-US Tycoons to be philanthropic, and to be angel investors to support the next generation of Jack Mas, Steve Jobs, Richard Bransons, Steven Spielbergs, or Barrack Obamas. With some slick motivational speakers with fake doctorates out there, graduates often describe Robert to be "the most credible, empowering, truthful Coach" who believe in his graduates to believe in themselves. ​However, clients have described Robert as "The #1 Cool Badass Alpha Change Expert". He has the coolest first class stature, rapport and trust from clients. He will not hesitate to tell the badass truth ever so gently because clients are paying him big bucks to reveal the truth, find solutions, persuade the hostile HODs, and align cross-teams within the organization. Originally based in Hong Kong for 20+ years, he had worked with top Branding/Ad agencies at J Walter Thompson and Leo Burnett, and was a certified FranklinCovey (7 Habits) in USA, and NLP MasterCoach (USA). His warmth is known to soften the most hardened, resistant sceptics. He will inspire your team to Go for Top 1, or to be a Dragon CEO. 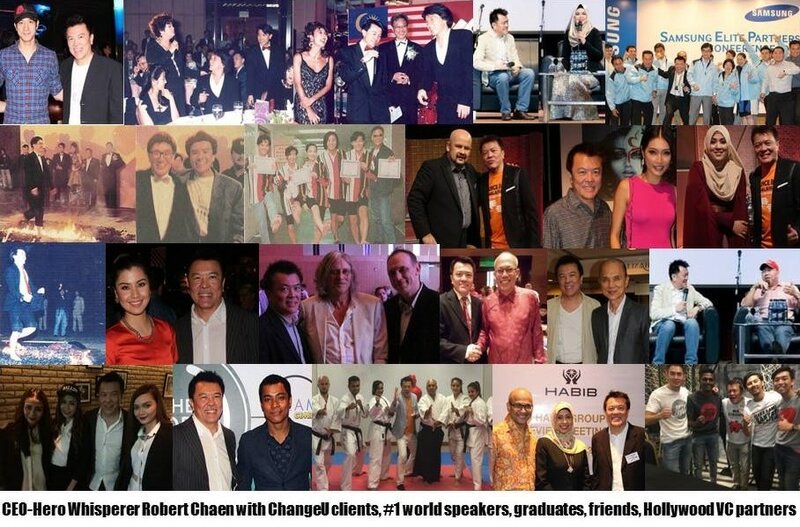 With boundless energies, Robert owns 15+ successful business Joint-Ventures, and created unique products under his global VC network called Chaen's Angels VC. He is deeply passionate about ChangeUTH Youth CSR, Science-Based Medicine (vs. quackery), short films and Reality TV. ​Min Jie Yong is a top tax and GST expert. He operates a highly respected tax and GST consultancy called TAMS and a few successful internet businesses. He heads the Finance Department spearheading investments and expansion. He holds a Bachelor of Business & Commerce from Monash University. ​Craig Santy is a top American TV & Film Producer with 20 years of credits producing programming in USA & Asia. He is known for such television hits as "The FBI Files" (Discovery), "Hogan Knows Best" (Vh-1) and "Crime 360" (A&E). Recently he worked as a producer on the award winning feature film "Looper" starring Joseph Gordon-Levitt and Bruce Willis. He has worked with top brands such as: Mazda, Jaguar, Verizon, Under Armour, HTC and the NBA in the creation of branded content and innovative media solutions. He is known for his ability to tell compelling brand stories through mainstream entertainment. Tapped into the social media "jet stream", he offers brands the opportunity to "go viral" utilizing key "influencers". He holds a Masters in Journalism from Columbia University in NYC where won the coveted Photography Design Award for excellence in photojournalism. Datuk Ismail Ramli is the Advisor and Non-Executive Director of Bounce Back Malaysia. He is Vice President of Scout Association of Malaysia, and represents many NGOs and Government Agencies. Mendy Mok is a coach par-excellence and a most sought after coach. His high energy style and ability to connect with participants remains unrivalled within ChangeU. As a role model himself, he is an excellent mentor and is widely admired and respected by everybody who has been touched by him. 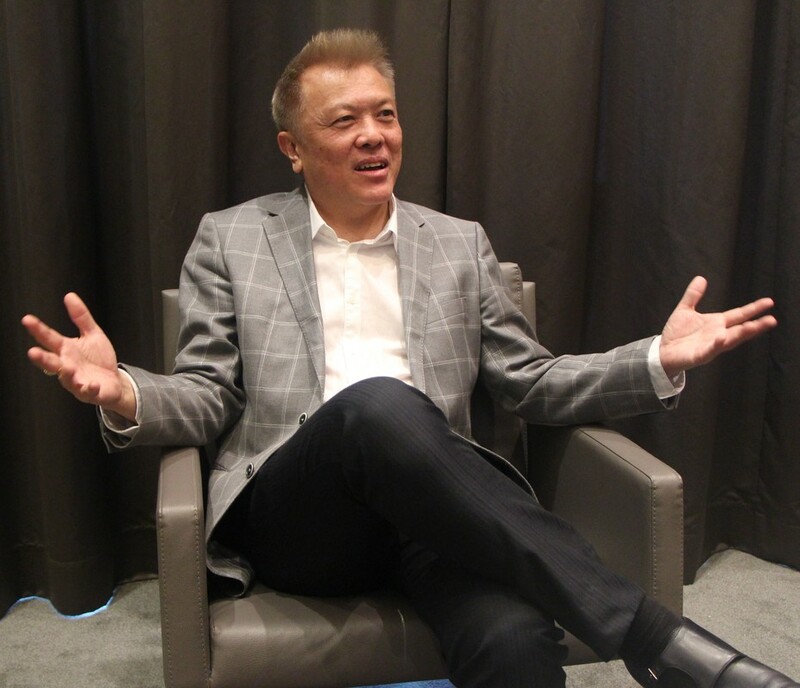 He has coached HK Airport Services, Swire Resources, Dairy Farm, VF Asia, and Kimberly-Clark. 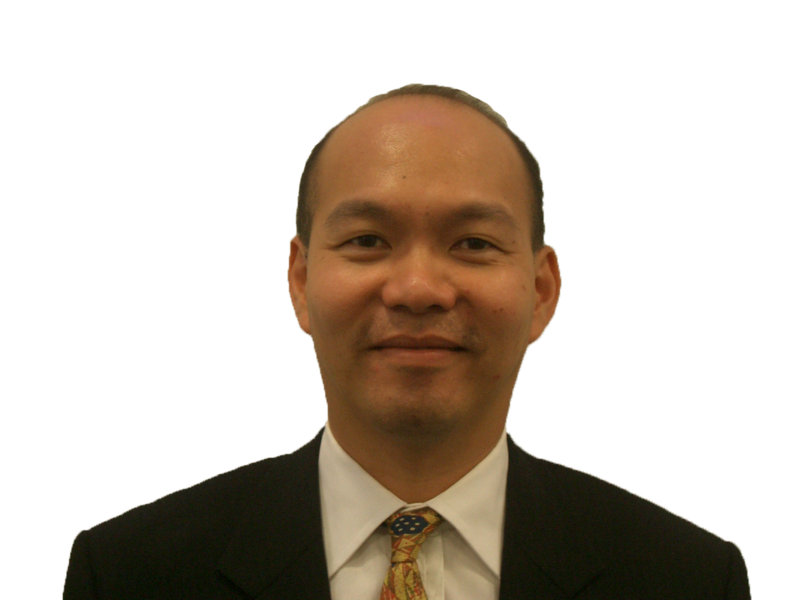 Ambrose Chan is one of the first Chinese Headhunters and Investment Bankers in Asia, with 20+ years’ experience. He had worked for KPMG, Merrill Lynch, and UBS. His clients include many blue chip organizations such as Sino Land Development, Henderson Land Development, Long Term Credit Bank of Japan, Johnson & Johnson, and Nikko Securities. He received his B.A. in Communications from the University of Washington, USA and his MBA from Brunel University, UK. A graduate from Southern Illinois University majoring in Computer Science and major in Business, Khong has architect and developed products for online trading system in equities, internet and corporate banking, branch teller system, margin financing system and online payment gateway (iPay88) in the Asian regional finance industry - with 27+ years of ICT expertise servicing top brands and banks.